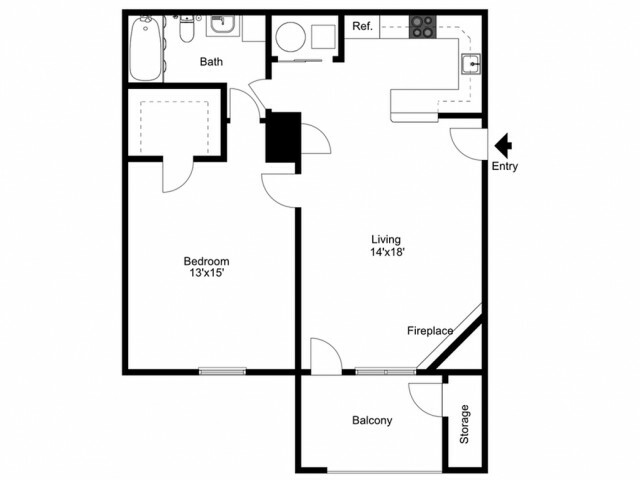 Cozy 1 bedroom apartment home boasting 750 sq. ft. of comfortable, luxury living space. Keep organized with extra storage located off of patio/balcony. 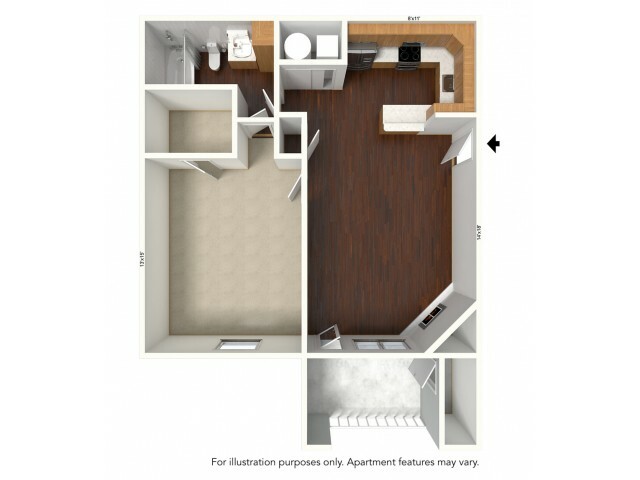 Apartments on the 2nd & 3rd floor have a fireplace. We are pleased to welcome your family pets at our community under the following guidelines: Birds and Fish are welcome without additional fees. Farm (ex: ducks) or Forest (ex: rabbits) animals are not allowed. Small caged animals such as guinea pigs are welcome without additional fees as long as they remain caged and cause no damage to the apartment. Must have proof of spay and neutering (applies to cats & dogs). Certain dog breeds are prohibited. This includes, but is not limited to: Pit-bulls, Chows, Rottweilers, Dobermans, Akitas, Dalmatians, Siberian Huskies, Mastiffs, American Bulldogs, Hybrid Wolves and other similar dogs known for their aggression. Mixed breeds that include a portion of the above breeds will not be allowed. A service animal required by an applicant or resident is not a "pet" and is exempt from our pet rules, but must otherwise comply with applicable law. We consider a service animal a reasonable accommodation whether they have been licensed or certified by a state or local government; however, we may ask an applicant or resident to provide documentation from a qualified professional that the individual has a disability and requires a service animal as an accommodation. 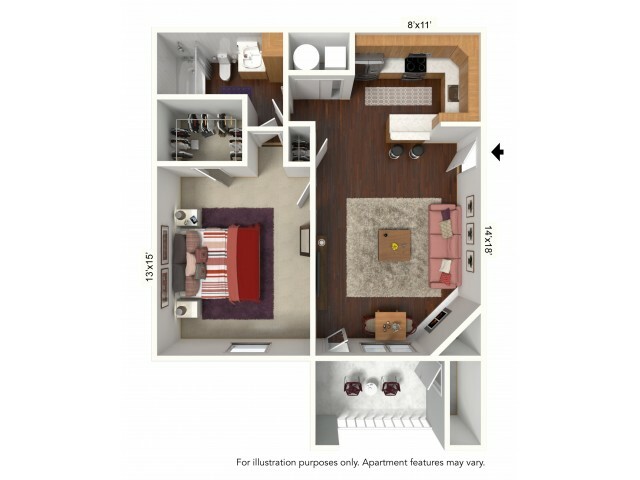 Weight Limits: - 35 lbs in Upper Apts - 50 lbs in Lower Apts - Up to 125 lbs with written approval in select units. No Monthly Pet Rent. No Pet Deposit Required. One Time Nonrefundable Pet Fee $500 for 1st $250 for 2nd.